Atco 12" & 14" Flat Handles Side Kick 2-Stroke. 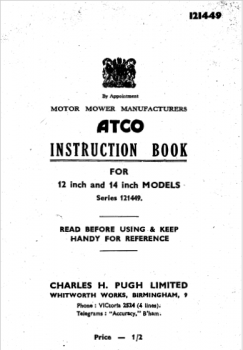 This is the instruction book for an Atco 12" & 14" Flat Handle Side Kick Start with a 2-Stroke Villiers Engine. Due to item rarity, a high quality digital copy may be sent.